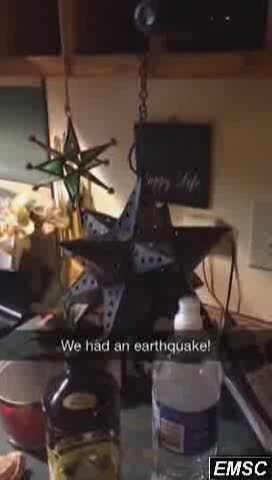 This video was taken at about 8:10pm April 23, 2014 at my house, Comox BC during an earthquake which just took place. I was in the basement and my family was upstairs everyone went quiet and everything started shaking. The curtains, bird feeders, and porch swing were swaying and you could feel the ground moving under you. It was very cool. A bit scary but hopefully that's all we will feel.